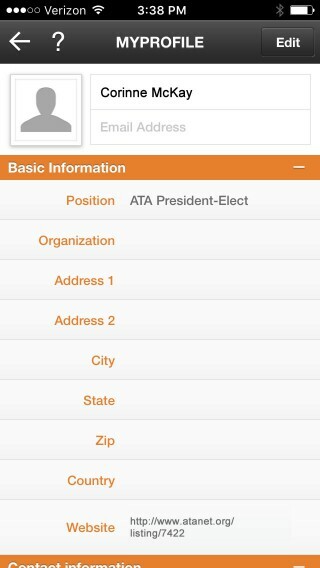 Use the ATA57 App to the fullest and start networking with attendees and future employers NOW! 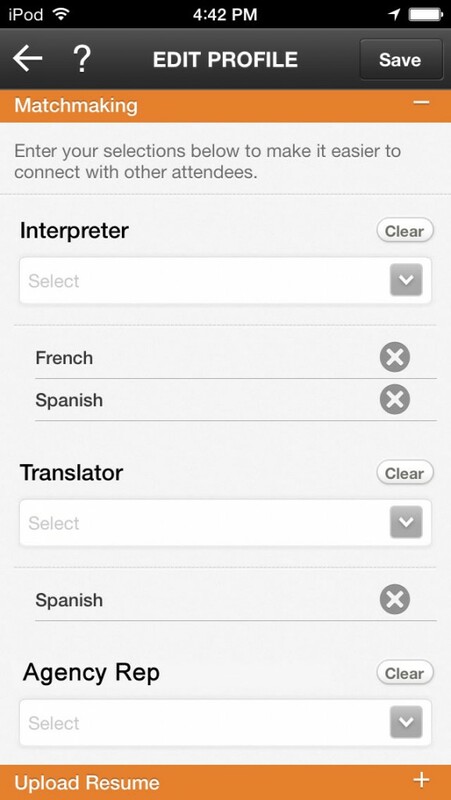 The information you enter here will appear in the Attendees section of the app. Enter your contact information, upload your photo, set your Matchmaking criteria, and upload your résumé for all attendees to see. ATA has entered a link to your ATA Directory listing (if applicable). If you have your own website, you may change this field at any time. Each field can be set to Public (to share with all attendees) or Private (to share with only the attendees you add to your MyContacts list). The Matchmaking feature allows attendees to find a “Match” to their needs! When editing your MyProfile, you will find the Matchmaking section. Select the criteria that best describes the work you do so attendees and employers can find you! 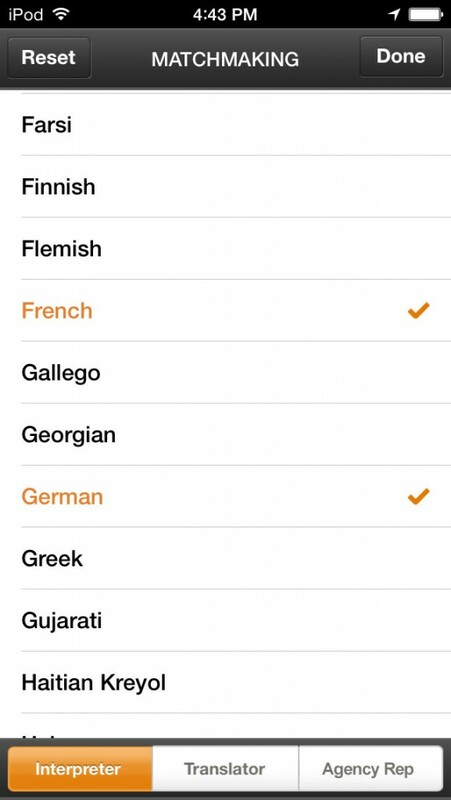 If you are here to recruit, you may select any and all languages you’re looking for! From the Attendees section, click Match to select Interpreter, Translator, or Agency Rep, and then the languages you need. 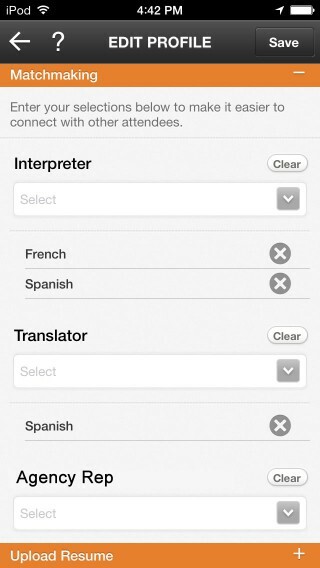 The image on the left shows the results for Interpreter and French. Click the Help icon, and then select Contact App Developer to submit a support ticket. TripBuilder will reply promptly. If you are unable to open the app, please email TripBuilder at support@tripbuildermedia.com.